"We had the most fantastic experience during our 3 night stay at Breaffy House during the wedding of our daughter.We have nothing but good to say about every aspect of our stay.We would like to thank Denice (Wedding Coordinator) and her team for the effort they went to in order to ensure we had every thing we needed to make our special event such a resounding success." 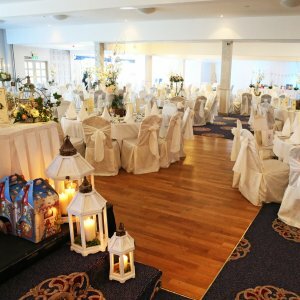 "On behalf of my now husband and I we are delighted we picked Breaffy house resort as our dream wedding venue. From the minute we arrived we were treated like royalty. As both of us were not from Mayo all our family and friends had to travel too and they were treated so well too. We had the pleasure of dealing with Denice the wedding coordinator and she is top class. Not only is she so professional but she was like a great friend and support to us too. We got on so well with her and she even was in contact with me via text/what's apps outside of her work hours. She has an amazing team of staff alongside her and they ran the day/night perfect all our family and friends couldn't get over how smoothly it ran. We stayed from the Thursday to Monday and they couldn't have done more for us. We spoke with Denice before leaving and told her how we didn't want to leave as they made it feel like a home for us and it was so true. Christina the accommodation manager looked after all our room bookings and even arranged an upgrade to a suite for my parents as a surprise for my mom’s 60th birthday and got treats put into the room for her. She’s still ringing everyone telling them. Thanks to Denice and all the amazing staff at Breaffy for making our special day be one to really remember. We will be making Breaffy a regular place to visit after how well we were treated"
Hard to believe our wedding day is over. A bitter pill to swallow after Breaffy House gave us the best day of our lives !!! !So many people thanked us for the best wedding they have been to. 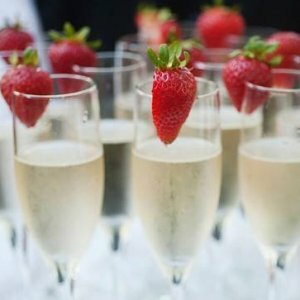 Rave reviews about the food, service, wine and venue. Magical was a word commonly used. The castle as our daughter calls it delivered in the 5 star way they only know how to. Service was top class. Staff were fun friendly and extremely professional. No job or request too big or too small for guests. Everyone so impressed by amazing standards. Denice our go to girl. The wedding coordinator (not big enough title)..Words cannot describe her enthusiasm, professionalism, knowledge, attention to detail and amazingness!!!! Brides she has it all going on for YOU. Get married after all the planning and hand the day over to Denice. She will do the rest. Relax and enjoy your day. Nothing will be too much for this lovely lady. She has your back and will make you feel a million dollars. Couples thinking of booking Breaffy just do it. No where would you get this service on your doorstep. Mayo is blessed to have Breaffy and staff. Bridal suite best there is out there. We looked. Food...selection of menu better than most hotels in the area. Taste also far superior. Service top and I have been to loads of weddings elsewhere. Our guests commented how they were made to feel so special and attended to. Rooms.. Absolutely gorgeous. Comfortable extremely clean and just perfect. My Mum was a hotelier and harsh critic. She raved about the comfort and luxury she felt sleeping there. Breakfast well what we can say. Just everything you want for all after a huge night. Bridesmaids tucked into everything with glee!!! Wedding venue...magical romantic intimate and your photographer will be thrilled and delighted. Amazing grounds any time of year. So lucky to have Breaffy so close to home. Denice and staff we will always hold you responsible for delivering our dream day. Can’t thank you enough. Amazing job well done guys. Denice was incredible!!!!!!! Thank you!!!!!!!!!!!!!!!!!!!!!!!!!!!!!!!!!!!! Ruth the decorator was also fantastic - her decorating was perfection!!!!!!!!!!!!!!!!!! Thank you to all of your staff! They are something special :)"
We cannot thank Denice, Wilson and the team enough for the top class service they provided for our wedding, March 2019. From the initial meeting to checking out after the big day, no problem was too big or small! Our 270 guests were blown away by the faultless meal and friendly service. Denice kept the day running like clockwork. The hotel even made us a last minute bouquet for the bouquet toss!! The pizza in the residents bar received rave reviews and ensured the party continued until the very early morning!! Because the grounds are so stunning we could take all our photos there and didn't miss any of the fun. We had a delicious rehearsal meal the previous evening which was a lovely way to meet all our guests who had travelled. The staff organised a sparkler entrance that was so much fun! I would recommend Breaffy House Resort to any couple thinking of tying the knot, you will be in safe, warm and very welcoming hands! To Denice and all the staff at Breaffy House Hotel. We cannot thank you enough for the outstanding service we received on our wedding day on Saturday 28th of July 2018. It truly was the best day of our lives. We were treated like royalty on the day and in particular we would like to thank Jackie for looking after the top table so well. 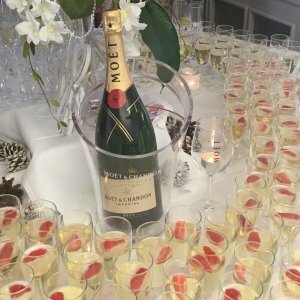 The food and service at our wedding meal were out of this world and our guests have had nothing but positive things to say. We knew from day one that we were in safe hands with Denice and she didn’t let us down, everything ran so smoothly on the day. We would highly recommend Breaffy House Hotel to any future couples looking for top class service. You will not be disappointed. We had the most amazing day in Breaffy on Saturday June 9th. The grounds of Breaffy were absolutely stunning and enjoyed by all our guests. How fantastic it was to arrive to all our guests enjoying the drinks reception on the terrace.! We had all our professional photos taken on the grounds itself which is absolutely ideal and which meant we got the best of both worlds....great pictures and more time with our guests because we didn't need to stop at another location! Denice a...nd the team really pulled out all the stops and for that we can't thank them enough. The decor all throughout the hotel and entrance into the ballroom was magical. The meal was delicious from start to end and we are still getting compliments from our guests. The staff serving the tables were so efficient and nice we couldn't have asked for more. The feedback has been amazing and truly deserved by all in Breaffy! Thanks so much! My only wish is that we could do it all again! "If you are still deciding on a wedding venue look no further!!! This 4 star hotel is top class. 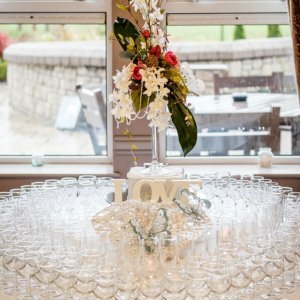 We got married in Breaffy House Hotel last month and we really couldn't recommend it highly enough!! From start to finish they were an absolute pleasure to deal with and met our every (Sometimes ridiculous:-D) need. To say our wedding co-coordinator Denise was outstanding is an understatement. She was there to answer all of our questions - even on her days off! She was attentive, professional, and helpful and has an unbelievably calming presence!! We really can’t thank her enough for all the work and effort she put into making our day just perfect and so stress free. The whole day went like a dream- the hotel looked just beautiful, the staff were second to none, the food was amazing and the newly renovated rooms for guests were top class - some guests even commented they couldn't believe it wasn't a 5 star hotel. Thanks again to Denice and all at Breaffy House for making our day so magical!! Ye are a super team and a super hotel!"